Signal: Most people probably know you as the former general manager of the Los Angeles Dodgers. What does that Kevin Malone have to do with today's Kevin Malone? Malone: Well, I think it's part of my history, part of my experience and my past. I came out to Los Angeles with high expectations, trying to rebuild the Dodgers into a championship team and organization, and didn't get to finish the task. I left, or resigned early, in my tenure (and) moved on. The Dodgers wanted to go a different direction. But I learned a lot about the Los Angeles, the city, and it was a great experience for me. I feel very blessed to have had that opportunity. I'd been in baseball for 17 years, in the major leagues. I ran the Montreal Expos and the Baltimore Orioles and came to L.A. with high expectations, set the bar high, fell short of that, learned a lot by failing, learned how to keep fighting the fight and keep working hard. But that was a great experience for me, and now I'm thankful that I'm in the car business. Signal: How did you get from point A to point B? 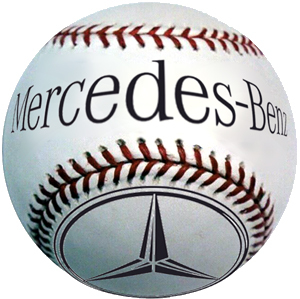 You're into Mercedes-Benz of Valencia with baseball's Eddie Murray  but you teamed up with somebody who actually is in the car business, right? Malone: I've been on a great journey. My life has been an amazing journey. Growing up in Louisville, Ky., on the wrong side of the tracks, so to speak, and one day finding myself as the general manager of the Los Angeles Dodgers, the most storied franchise in all of sports, maybe, depending on if you talk to Yankee fans. And then after I left the Dodgers, I spent three years doing full-time ministry  and ministry is basically serving and helping people for the honor and glory of God. During that time frame, I was contacted by a former friend in Montreal who owned a Mercedes-Benz dealership. He had told me about Mercedes-Benz doing some research and demographic studies on Santa Clarita; would I be interested in owning or being a part owner of a Mercedes-Benz dealership? I said, sure, why not? I thought I'd be with the Dodgers for 20-plus years or more and retire as a Dodger, but the Lord had other plans for me. When I got out here and moved out here  I had lived here once before, when I was a scout for the Angels. Signal: Here in Santa Clarita. Malone: Yes, sir, and lived in Canyon Country. Climbed the baseball ladder and then, once the Dodgers hired me and brought me back, I decided to move back out here. I really love this community. (It's) very family-oriented. People really care about each other and help each other. And so, Mercedes-Benz contacted me and let me know that they were looking at bringing a franchise here and a dealership, and I was excited. So I met with the president of Mercedes-Benz USA at the time, Paul Halata. He liked me and they were looking for a celebrity, and at that time, I was considered such. And I lived in the community (and) had strong community ties; I kind of met the criteria that they were looking for. And they said: Well, find somebody else from the community that maybe is a celebrity. Eddie Murray fit that well, and he came on board. The most important piece, I think, was my partner who is in the car business, Lenny Sage. He and his family own four other dealerships, and Eddie and I both knew that we weren't smart enough. We were baseball guys. Signal: You were baseball guys, not car guys. 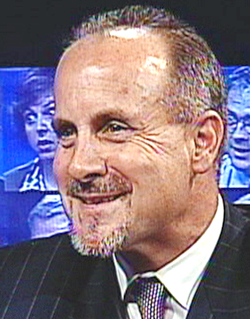 Malone: We needed a car guy to run the business, and Lenny is running the dealership. We opened up December 2005. We've been open about 15 months or so, and we're working hard and we're growing and we're having a lot of fun. We just want to serve the people; the cars sell themselves. Mercedes-Benz is  what a great product. We're having a lot of fun in the community. We're giving back and we're involved in a lot of charities. I think well over 12 charities we supported last year, and we do that because we want to give back. The community is helping us, and we feel like we're part of the community, and we want to make this the best place to live possible. Part of that is giving back and helping others. And we're having a lot of fun. Signal: You've been open since December 2005  time flies. It was a long process, getting open. When Mercedes-Benz informed me that I had the letter of intent, it basically took five years from that point to get open. Signal: There was controversy about the river, and access, ironically, to Hart PONY baseball. But it all worked itself out. Malone: It all worked itself out. I think sometimes the best things in life are worth waiting for, and I believe God knew the right timing. Mercedes-Benz was going through some transitions itself, as far as with the product. When we opened, there was a lot of quality product that they were offering, and they had really, I think, made a recommitment to making the best cars possible. I think, a few years back, if we had opened up, Mercedes-Benz was maybe pushing it a little bit, and I think they got it right now. They're coming out with some great product, some wonderful cars, and I think we opened at the right time. Malone: Exactly. And that's what was, I think. Part of the delay was waiting until the numbers were right, until the economics, the level of family income was at the right level. All these factors they were evaluating, and once they came together, and then once we were able to find the right piece of property, and to get through some of the issues that you just mentioned, we opened in December of Œ05 and we hit the ground running. In our first two weeks, we sold 100 cars, so that was a great way to start the year, and Mercedes-Benz corporate is very happy with us. We were the new kid on the block, the first (new) Mercedes-Benz dealership in L.A. in over 20 years. There had been some relocations, some remodeling, some renovations, but we were the first new, what they call "point," and we far exceeded their expectations last year. So we were kind of like the rookie of the year and got quite a few accolades and awards. Signal: How many cars do you sell in a month now? We're doing well and we're thankful. I thank the Lord. People out here are great. (There are) a lot of folks moving here who can afford a high-end, luxury automobile. ... We even have some ones that are affordable that people don't know about. ... There's a C-class that you can get in the mid-$30's. Signal: The Mercedes deal came together while you were with the Dodgers. Signal: So you were looking at it as an investment  not as something you'd be hands-on involved with. Signal: How actively involved are you in the dealership now? Signal: The car business is a people business. Malone: That's exactly what it is. It's all about people and relationships, and I've had so many friends and acquaintances buy vehicles from us and refer us, and I like to see people happy. Signal: Have you sold cars to a bunch of ballplayers? Malone: We've sold to a bunch of Hall-of-Famers. Eddie Murray, of course, is a Hall-of-Famer, one of our owners, but also Don Sutton, Joe Morgan, there's quite a list. Charlie Sheen buys his cars from us, James Caan, Frankie Valli. So we have that kind of  not like Beverly Hills or some other dealerships, but we really are focusing on attracting people from this community. We want to make sure the Santa Clarita Valley residents have access to what we think is the finest automobile on the street, and they seem to be pleased. But we've got a lot of work to do. We're not hitting home runs yet. Occasionally we'll hit a home run, but we hit some singles and sometimes we don't get a hit. Sometimes we miss the mark, but we're working hard and we just want our clients  we call them "guests"  we want them pleased and satisfied. That doesn't always happen, but we're working hard to make sure it does happen. Signal: And if they don't come to you, they can go down the street. How well do the dealers on Auto Row work together and support each other? Malone: There's a lot of support. Malone: No, it's not. I was surprised at that coming from professional baseball, where it's very cutthroat, dog-eat-dog, and very competitive. It's still competitive, but you have Joe Caso who owns Frontier Toyota. What a quality man he is. And they do a great job. I just think it's a matter of the brand and who wants to drive what, who can afford what, what your dreams are. We believe that Mercedes is at the high end, and a lot of people grew up wanting to own a Mercedes and they dreamt about owning Mercedes-Benz, and the great thing now is you can afford them. We see a lot of younger people coming in because of that price range in the mid-$30s, the C-class. And then we have them all the way up, we have the SLR (at) $455,000, which I think you'd look really nice in. It goes about 225 mph. Signal: We'll talk after the show, OK? Malone: We'll give you a good deal. Signal: What I'm driving now, you can have as a trade. We'll just swap. How does that sound? Malone: Well, for a day maybe. But you're right. With BMW, Lexus, Acura, they do a great job, and all of the dealerships, they work really hard. And it's a challenge now because clients can go online, they have a lot more information, they price shop. There are so many dealerships. They can go over the hill, they can go down the road. You have to be very competitive with your prices. But we believe that all of us out here in (the Santa Clarita Automobile Dealers Association) believe that we'll give you the best price  but we're also going to make the service such that you'll want to come back. As (Valencia Acura co-owner) Don Fleming says, "We want to build friends." He's coined the phrase, "friendship-dealership," and he does a great job with that. We're trying to do the same thing. Signal: You mentioned that Mercedes waited a while before coming in here. There was also a lot of competition over who was going to get the dealership. Boeckman was in the running, and Auto Stiegler and a few others. How did that work? I know that there was a lot of interest, as you mentioned  Auto Stiegler and Keyes and different people were very interested. I think they wanted some new people involved, and they wanted people who lived in this community. They felt that Eddie and I and Lenny met those requirements and that criteria. But I couldn't afford to buy (a dealership) if it was for sale, so I really have to say it was by the grace of God. It really was. Signal: You left the Dodgers in 2001 and opened the dealership in 2005. In between, you were at The Master's College. Malone: That was a great experience. I came to know the Lord in 1979. I grew up in a religious home, but I didn't have a personal relationship with God through his son Jesus Christ. There was a phrase that people will call you, "born again" or "evangelical," and that's what happened to me. God touched my heart and helped me to realize that I was separated from Him and I needed to know Him. And the only way you can truly know God, based on the word of God, the Bible, is through a relationship with Jesus Christ. So in 1979 I got right with the Lord, and my walk with the Lord was up and down. I had highs and lows. But when I left the Dodgers, I had cried out to God: "God, I just want to be on the front lines for you. I want to serve you. Whatever you want me to do, I'll do." The Lord again was blessing with the Mercedes-Benz dealership, but as you know, and we'll talk about, I spent a lot of time on the mission field, in Africa twice, Israel four times, Guatemala, Cuba, Dominican Republic probably eight or 10 times. I go to a lot of third-world countries, and I think God is calling me to bring help and hope to those countries. But after I left the Dodgers, while I was waiting for Mercedes-Benz to open, I served at The Master's College. I worked in development; I tried to help the school raise money. It's a small Christian school, but it's a very good school. It's really a special gem in Santa Clarita  about 1,200 students, real strong emphasis on academics, but also on biblical world view. So the spiritual challenges were strong as well as the academic challenges, and my role was to be a liaison for the president, Dr. John MacArthur. I kind of represented him for the college at times and did a lot of fundraising, and I learned a lot about myself, about God, about people. When you're asking people to support something  a school or a charity  really, what I learned was how to pray and how to ask God just to help me, because what you're trying to do is connect people to the needs of a school, and a person can't really do that. I can explain the needs and write letters and make phone calls, but God has to touch people's hearts and (make them) say, "Yeah, that's something that I want to help and support." So I did that for three years, and while I was there, I worked with a lot of young people. I helped send some young people to different countries and just tried to encourage them and their faith and their walk with the Lord. You know, Christians aren't perfect. We fall short a lot. But by the grace of God, we keep trying to fight that good fight and move forward, and it was a blessing for me. I learned a lot about my own spiritual journey and where I was, and really fell deeply in love with the word of God, the Bible. I try to spend as much time in the Bible every day as possible, and the more I do, the more I know that I'm prepared for the day, and I just try to live my life to honor and glorify God. Signal: How did that come together at The Master's? Did you know John MacArthur earlier? Malone: That's a great question. When I was a scout for the Angels (from) 1985 through Œ88  I would go to high schools, junior colleges and colleges, looking for players. And then we would draft them in the June draft. Signal: There have been some good ballplaying going on there. Malone: It has, and this is a baseball hub now, out here in Santa Clarita with Hart PONY League, and the high schools and The Master's College, College of the Canyons. But I had heard about Dr. MacArthur. Once I came to know the Lord, I used to listen to Christian radio stations and I'd hear this guy preaching  and he preaches. He really espouses the word of God. He really breaks it down in the Old Testament in Hebrew and the New Testament in Greek, and really explains the word. Signal: He's on a lot of radio stations. Malone: He's in many countries. He has written over 90 books. And so when I moved out here with the Angels, my wife and I  we lived in a place at the beginning in Van Nuys. Well, little did I know that the church where he was the pastor was Grace Community Church. It was 10 or 15 minutes from where we were living. I'd listen to him on radio, but I didn't know where (Sun Valley) was. So I started going to church there, and then I realized and found out he had a son who was a really good baseball player, who had played at Arizona but transferred back to The Master's College. So I was scouting The Master's College, looking for pro players. We ended up signing him to a contract and giving him an opportunity. I'd see Dr. MacArthur there and then got to know him through sports. Because Dr. MacArthur is an avid sports fan. He loves sports, was a very good athlete himself, and we became friends through that. When I left the Dodgers, I just felt like God wanted me to serve  because the Dodgers were paying me. When I resigned, they paid me for a year and a half, and I could basically  my wife stayed home with my family. I tried to be the best husband and father I could be. Because I wasn't a very good husband and father for a long time because I was married to my job. I was a workaholic. I traveled a lot. I was looking for players; I was going to international countries; I was just trying to build championship teams. I think part of the blessing of leaving the Dodgers was I got a chance to really come to understand God was calling me to be a better husband and father. So that all took place, and I went to Dr. MacArthur one day and said: I really think God wants me to serve here. Whatever you want me to do  you want me to clean the gym, you want me to cut the grass, I just feel like I want to serve." And he said: I'll get back to you. Well, the next day I got a call, and they wanted me to come on board in development. It was kind of ironic, because I had gone from being with the Dodgers and signing Kevin Brown to a $105 million contract and having a large payroll of over $100 million  to going to a small Christian college and being humbled and asking people to support this college and to pay for and support and help kids with scholarship money. So what a contrast it was from the business world, a multi-million-dollar business, $100 million, to trying to raise funds. So it was a great experience for me. And it's in Placerita Canyon; it's right down the street from where I live. And that's why I love this community. Everybody helps each other. Malone: Yes sir. I did. That was after I had got finished playing baseball. I played in the Minor Leagues. I wasn't very good. I could do a few things. I could play a little defense and run a little bit, but I couldn't hit much. After I got done playing, I worked at some baseball schools, and I felt like I wanted to go back to school. I felt God was calling me: Hey, you need to go back and learn more about Me. So I went to Tennessee Temple Theological Seminary in Chattanooga, Tenn., just to study the Bible. While I was there, studying the Bible and just learning more about God and who the Bible says He is and growing in my faith, the Lord blessed me. I met my wife there. She's from Northern California, was born and raised in Chico, but went to Livermore. She's from up in the Bay area, Northern California, and she had gone back to Tennessee Temple University where her brother had gone to play basketball. So she was there in the business school  and like I said, she's much smarter than I am. I came there after playing in the Minor Leagues and went there to help coach the baseball team at that university. But I was enrolled in the seminary, just learning and studying for my master's (degree) in theology. So that was the Lord. I thank the Lord for  I mean, (my wife) is a precious gift, and she has been the strength behind me and the wind beneath my wings, as they say. Malone: But you don't believe all that, do you? That's the media saying some of that. Signal: and not getting along too well with the media. Obviously that one can't be true, because here you are. By my question is: How do you judge yourself? Were you the person people said you were? You were a man of God during the entire period those things were going on. As a man of God, did you have expectations of yourself to be good and patient and contrite? Malone: That is, seriously, one of the best questions I've been asked in a long time. Being a man of God, I think, means living your life to honor and glorify God and all that you say and do and hopefully think. When I was with the Dodgers, I was struggling. It's so competitive. I think that being a man of God  if you look in the Old Testament in particular, and then the Apostle Paul in the New; very competitive men, very driven men, very passionate men. I think sometimes, when I was maybe miscast or misrepresented, (it was because) someone might have misunderstood my passion and my intensity and my drive. Because I want to be the best, and I believe that God calls us to pursue excellence because He is excellent. So in my drive, in my pursuit of excellence, I wanted to bring glory and honor to God, but there were times that I failed and fell short. Malone: it just challenges me. And I know that because God loves me so much, I just want  here is what the Bible says. It's the perfect verse. It's in the Gospel of Luke, Chapter 10, Verse 27. It says, "Love the Lord dear God with all your heart, with all your soul, with all your strength, and with all your mind, and love your neighbor as yourself." I think to be Christlike, to be a Christian, to be a man of God, is to love God, to seek after God, to pursue God, to honor Him in all that you do and then take care and help people. That's why I live the way I do, because I know God loves me so much. He has blessed me so much that I believe I'm blessed to be a blessing back to others. And when I'm given excess  after I've paid my bills, after I've met those needs  then I believe I'm to give away, and I'm to help people. I'm to help the poor, the needy, the widows, the orphans, and that's why I travel around the world and do that. And not only that, but I do it here, as well. Signal: So it's OK to be competitive? It's OK to strive to win? What do you think of people who cross themselves, or kiss a cross, when they go up to bat? What's the deal? Are they calling on God so they can beat the other guy? Malone: That's a good question. I think it depends on the individual. Sometimes I think that's superstition. There are some guys who call themselves Christians, who go to a chapel or they do certain things because they just want good luck or they want what they think is the blessing of God. I believe that I prayed, even before a trade, "Lord, just give me the wisdom to make the best trade," or the best decision. Now, sometimes what you pray for is  we have limited understanding and knowledge, so I might be praying to get (hire) a certain guy because I think he's going to hit so many home runs or he's going to pitch and win so many games. But God's got a different plan going on. God, He's sovereign. He's in control. But you know what? That's a great point. What I always got to was, Lord, whatever you (want). It's like Jesus prayed in the Garden before he went to the cross and was crucified, because he was saying, "Father, if you can let this cut pass from me, let it pass, but not (by) my will. Your will be done." So yeah, my will is, I want to win every game. I want to be the best I can be. And I want to be No. 1. I want to be everything that I can be. But the caveat to that is, "Lord, I want your will more than I want anything else. That's what I want. If you know what's better" Because the Lord has what's best for us, and the world gives us and offers us second-best, and sometimes we settle for that. But if you seek God, God will always, it says, "Provide you what's best for you." Signal: We sometimes hear from cynics who criticize people for doing charity work abroad  like, "Aren't there enough people right here in America to help?" You've been to Africa a couple of times; tell us about your work there and why it's important to you. Malone: Well that's important, I think, that the Bible tells us to help  it says, "Help those locally, regionally, nationally and internationally." So, I don't fly over people who need help to get to others who do. I help people all along the way. As I mentioned earlier, we at Mercedes-Benz, and I personally, we support over 10 charities here in Santa Clarita, from Michael Hoefflin, Boys and Girls Club, SCV Youth Project  you can go on and on. All of them. Single Mothers Outreach. There are a lot of local charities. Well over 10 that we support here, and not only with our resources, but with our time and our talents. We try to help the local charities. And I'm involved with some inner-city ministry, the Dream Center, which is in Downtown L.A. I'm involved in some ministry in L.A. And then nationally, different places I go and speak and help. And then internationally  wherever God says, "Take the good news, take the message of Jesus Christ, the Gospel, around the world." So it starts here and then it just grows out. Signal: So when you're in Africa, you're not doing famine relief; you're spreading the Gospel? Malone: My last trip to Uganda, Africa, I was there in Kenya. We fed two orphanages, we fed a village. We provide life supplies, food, because people are starving over there. They're actually starving to death. They have contaminated water. It's a whole different world. So I'm trying to bring them help for their physical needs, but I'm also bringing them hope from a spiritual perspective. Because you need to address the physical needs, and the hope that I bring is the living hope which is Jesus Christ. So I want to try to meet both their physical needs and their spiritual needs, and that's what I believe God is calling all of us that know him to do. To some degree or another, some can do more than others, but we're all called to help others and to love our neighbor as ourselves. And our neighbor  who is our neighbor? Our neighbor is anyone in need, be it in Uganda, Africa, be it in Zimbabwe, or Tanzania, or Santa Clarita or inner-city L.A. We're to love our neighbor, and that's what I try to do, wherever there is a need. Sometimes I get discouraged and disappointed because the needs are so great, and I feel sometimes that I'm just one person and I can't do much. But God just keeps compelling me to go and do what I can do. See this interview in its entirety today at 8:30 a.m., and watch for another "Newsmaker of the Week" on Wednesday at 9:30 p.m. on SCVTV Channel 20, available to Time Warner Cable subscribers throughout the Santa Clarita Valley.